No matter how many times they have claimed they had it, Cadillac has never actually made a BMW 3-Series killer. As close as they got with the slightly larger CTS they've never actually made the kill. 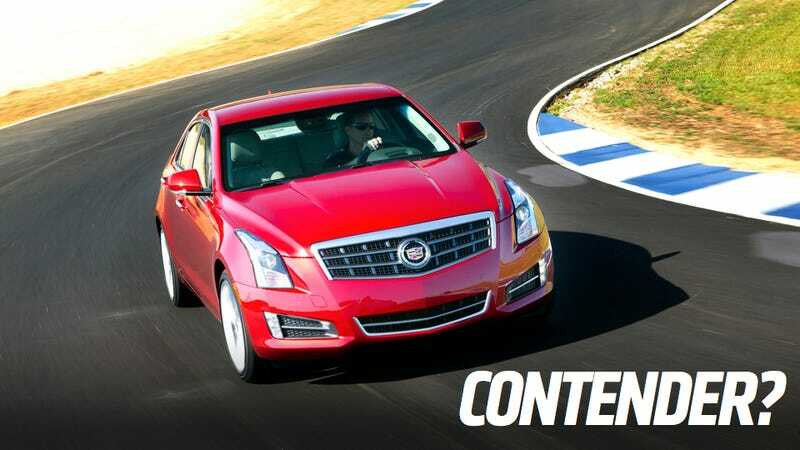 Now, with first reviews of the latest weapon, the ATS, hitting the internets today, many seem to think that Cadillac actually stands a fighting chance against BMW's wunderkind. I haven't driven the ATS, so I can only go by what I've heard from everyone else. It sounds like a pretty great car. Hell, we gave it a 73 on the Jalopnik scale, which puts it right near the top of our leaderboard. But there are other factors to take into account. Are the salesmen and dealerships better for BMW or Cadillac? What about the service departments? Will the ATS be reliable over the years? Will people with a bias against American cars be able to look past the Cadillac badge and see the ATS as a viable competitor? I tend to think that the ATS will have trouble catching on with people that just need to have that BMW badge on the car in their driveway, no matter how good a car it is. Plus, I've noticed that even though Cadillac's cars have gotten younger, Cadillac's dealer network is still wearing toupees and white belts. They also aren't all that knowledgeable about the cars. They're still catering to a DeVille crowd, not a Euro-performance crowd. But what do you think? Can the ATS finally breakthrough and be the BMW beater GM needs, or will it remain just outside looking in?